If you use the cloud version of StaffCounter service, to collect information effectively by departments you need to register a new account for each department. And to the e-mail of the head of the company managers will send only weekly or monthly reports about the productivity of their departments. Unlimited storage of the reports in the director’s mailbox + 3 months in the system on using StaffCounter Standard. Convenience of the navigation – the title of the letter is the name of the department. The search by employee, by department and by date is carried out by the tools of the mail client. The head of the company does not have direct access to all the accounts. It means, he can not see the result of the work of a particular employee for the current day. Moreover, to change the monitoring settings, he will need to contact the department manager. Using the cloud service of StaffCounter Online, the head of the company can have full access to all the accounts on StaffCounter.net . These can be the accounts of the company’s branches (subdivisions) or individual employees. Full information about the work of all the departments at any time from anywhere in the world. The convenient search by employee, by department, by date. The managing of the changes in all departments, editing of the program productivity without involving of managers. The chef needs to remember all the logins and passwords to all the accounts. 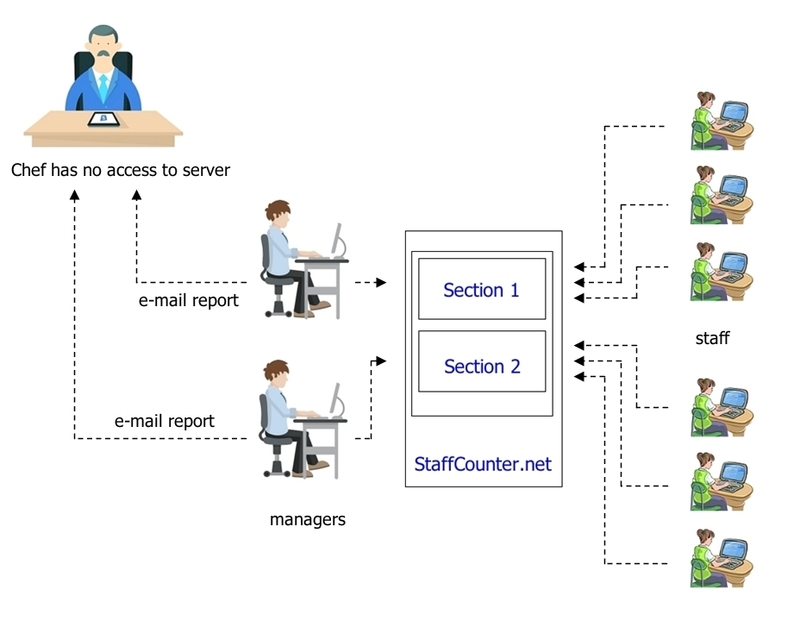 For StaffCounter Server users, the access to analytics and account management is performed according to the following scheme. Each department (branch) is assigned to a specific account, where all the employees are added to this unit. 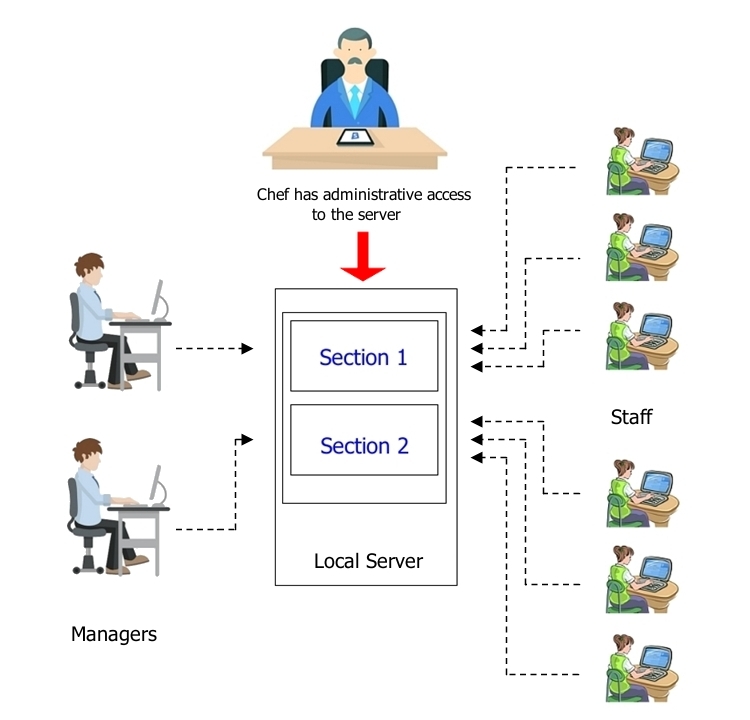 Each department has its own manager, who has access to the logs and analytics. At the same time, the head of the company has access to the Administrative Panel, which allows him to log into any account and view all the departments. Unlimited data storage and absolute confidentiality. Access to necessary information and analytics at any time. The ability to combine all kinds of solutions for sharing access. There is no need to remember the logins and passwords of all the accounts, because it is possible to enter each account from the administrative part without this. Depending on the needs of your company and the number of levels of management, you can choose one of the these options. However, we recommend to use StaffCounter Server as the most convenient and effective version of our time-tracking system.